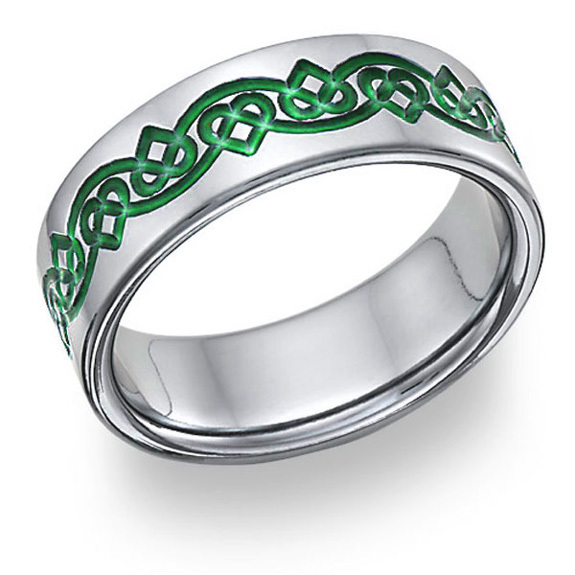 Celtic Heart Love Knot Wedding Band Ring in Irish Green. Interwoven infinite titanium Celtic hearts grace this ring in a continuous, seamless pattern. Shown in 7mm width (available in 6mm-10mm widths). We guarantee our Irish Celtic Heart Love Knot Wedding Band to be high quality, authentic jewelry, as described above.